Freezing cold here this morning, a little snow on the ground, perfect knitting weather. 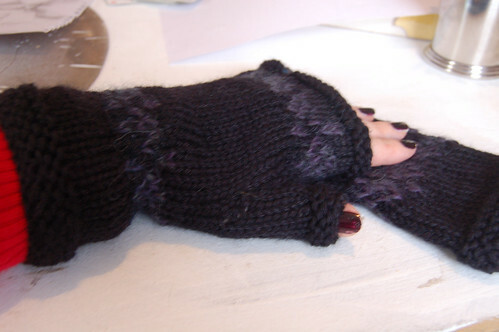 I knitted a pair of these mitts yesterday, its a little chilly in my new house. I have also cast on the IOU a pair of xmas sock for Jamie, they are Porlock socks by the very talented Jen in Natalies Toddy yarn in Ruck and Maul.